This picture made me cry. 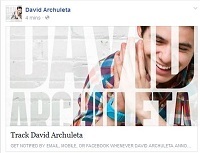 For reasons that have nothing — and everything — to do with David Archuleta. In my faith, we celebrate a special service the Thursday before Easter — one in which clergy wash the feet of the parishioners (or we wash each others’ hands or feet) as a reminder of the way Christ washed the feet of the Apostles before the Last Supper. It’s usually one of the most moving experiences of my year and I think I’d feel the same way even if I was just a visitor, even if I was agnostic or atheist or just plain cranky. That simple gesture of one person caring for another in such a tender, personal way symbolizes for me everything we should try to be for one another. If that picture is so powerful, you’re probably wondering why didn’t I post it here supersize. It was a purely personal decision. I could be way off-base, but I get the sense that while David wants to use his musical gifts and notoriety to help others and to bring awareness to worthwhile causes like Rising Star Outreach, he’s careful not to become the central focus, to use the cause as one big photo op, the way some celebrities might. As if. That said, the pictures (from Ron Gunnell, who was also on the trip) are too moving not to share. What I think I love most about them is that they don’t show us anything we didn’t already know about David. Not only because of what he says … and sings… but how he treats others regardless of their station in life. “Anyone who is tuned in to life can see the beauty in that event. I need not expound on it. I just want to witness to the goodness. So I emerge from my present phase for that purpose. There is no mystery here, when people are righteous that inspiration demands and deserves appreciation. P.S. What do you guys think? How did you feel watching David thank us for contributing to the Pathway of Hope? Have you done something differently today after watching his vlog? Do you think he’ll write a song about the experience or change his path altogether? 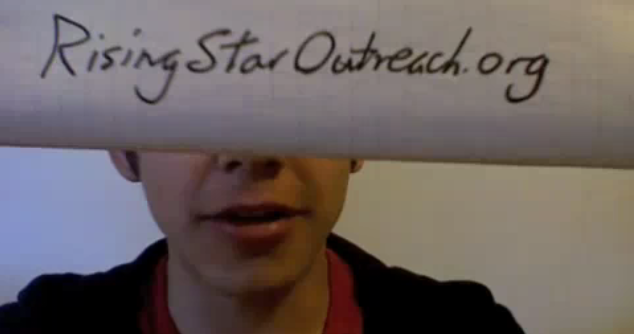 This entry was posted in Special event and tagged David Archuleta, Rising Star Outreach, witness to the goodness. Bookmark the permalink. Aww…..Just listened to David’s vlog, wonderfully heartfelt, real and true. It’s the ‘real stuff’ in life that matters most….things that show you how to serve others more meaningfully, things that put a smile in your heart and on the face of someone else, things that bring you closer to your own purposes and fullness of being. David seems to bring all these things to the forefront, speaking from his heart. No rambling and babbling here for me…just sincere, loving words. Thanks David. Thanks TOfan for the link to the photos and thank you to MunkFOD for providing the link. Amazing photos! So heartwarming to see David with the people there, helping in what ever way he can. I can imagine their eyes connecting, the light from one to the other, you can see it in the smiles too. Truly love in action. All the volunteers over there deserve a lot of praise and thanks. David would make a wonderful doctor, I’m sure. Seeing the pictures earlier before the Vlog was up was so moving. I noticed how David looked into the eyes of the man he was serving. I loved how they smiled at each other while washing the man’s feet. He looked so comfortable as he shared the time with each person. I shouldn’t have worried about him. I also loved the walk with the little boy. In the Vlog he showed so much compassion and was so grateful for what he has and what the fans have done. I often wonder how long we will have him. He has such a gift with not only his music but who he is. I will support him whatever he decides is the best path for him. After watching the vlog, my first selfish reaction was ok now tell us when we can hear you sing..when is your tour… are you coming near me etc. etc. Which I’m ashamed to admit. It feels like there is a tugging going on. After some hours have passed, I was eager to read your new entry as I kept looking at his twitter for others reactions. Thank You and yes I miss Happy too and usually just lurk here. Thanks for de-lurking, Heidijoy! yes, a tugging going on … it does feel that way. This is a beautiful vlog and a beautiful post….I am overwhelmed right now…. no words. Your tender post, those touching pictures, his love-filled vlog… left me feeling pensive, introspective…. it’s a good place. would love to see David tour with Joy Williams /the Civil War too Tofan. That pic too moved something in me TOFan – like RefNaf I have very few words. How can I respect this young man even more than I already do??? Heidijoy/TOfan – so many sides to David all of which combine to make him who he is… each of these humanitarian efforts (there will be more) will only make his music and performing that much more powerful and I TOO can not wait to witness it. hmm, meant to add – David ‘came to us’ with the voice of an angel and a heart and soul full of wisdom beyond his years AND he so was able to move us so powerfully then. Essentially, though, he was a blank canvas in terms of life’s experiences – I hope my life is long in years so I may be witness to the growth that will continue to evolve as the experiences in his life unfold before him. ‘kay, now I’m being fanciful – wouldn’t it be something if David wrote a song about his experience in India and Stacey Tookie coreographed a routine to it on SYTYCD Canada? I’ve read that this AI’s Greatest Hits is volume 1 … maybe he’ll be on volume 2? Personally I think that AI hasn’t really supported David much and it just might be better to not have him on anything associated with AI. David always acknowledged AI and it did give a jump start… Mind waffles on stuff to do with AI. Lovin’ you guys being fanciful!! David on SYTYCD!!! Very thankful that you all can speak for me when I feel speechless. “AI is so……. silly RRRrrrr” …admire your great restraint! This was a beautiful read TOfan thank you! I looked back at the post that Happy wrote awhile ago and then I read the comments. I started talking about your snowflakes way back then. The post has all been heartfelt and enjoyable at this time especially. Check in Happy!! The last time I saw you was at breakfast in Providence perhaps? Love all the nice comments here and the lovely blogs about David’s visit to India. Awestruck…..I also hope that I live long so I am able to enjoy more and more of David’s music and experiences! “a multi-platinum #2 hit on Billboard’s Hot 100 and one of the best songs to ever come out of this televised dog-and-pony act? ” Made me laugh. peppertara, killer Crush! I’d seen some fan vids from that night but never this more professional one (acc. to the more info, a friend of Eman’s recorded it), thank youuuuu!!!!! It’s now my favourite too. Those runs, gahhhh. 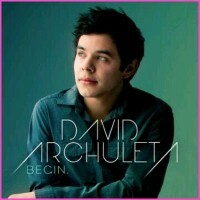 It is an incredible song & David kills it … Crush should def. 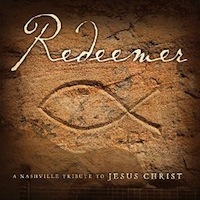 be on that CD … what were they thinking??? Just stopping by to say hi and let you know that this is a great post TOfan and I really liked what Happy wrote…very nice. Hope everyone is doing well!!! “Q: Along with On the Spot, I don’t know how you manage at all, but you also have made an incredibly impressive … of artists under Wright Entertainment Group…. What can you tell us about the projects and the artists that you’re currently working with? Bonjour. Wow, O’Great Happy’s wisdom is timeless. Beautifully said. The India experience was so poignant and heart warming. How gracious of David to share his life experiences. How many of us could cheerfully and gratefully live with a window that is frequently open for all to see into the details of our life.?!? Some say that’s the price of fame. I say that’s the sacrifice of celebrity and kudos to David for navigating that shark-infested waters with grace and gratitude. And major kudos to David for seeing the beauty of the heart and souls of everyone he meets. He also acknowledges and minimizes the warts (real or potential). It can take a lifetime to achieve that perspective. Just lovely to watch and listen all this unfold. Hope all in snow and ice are safely tucked in and warm and cozy. Have a wonderful weekend all. ditto Kizzi and hugs to you! Awesome post TOfan! I positively love the pictures from India. The way he is looking at all the people killed me. You can tell he is trying to communicate through the eye contact and I found it extremely moving. There’s such a fine line between using fame for good to raise awareness for a cause and using awareness of a cause to make yourself look like a better person. Obviously, we all know David is completely sincere and is not doing this for his image, but because he has a huge heart and wants to give back to others when he can. But I think he’s very conscious of what he says and does when it comes to this type of thing to avoid being portrayed as braggy or righteous. And I think he’s doing an awesome job! It’s such a hard thing to do, and he is doing it with class, imo. IM IN THE SAME ROOM AS DAVID ARCHULETA. ❤ LIFE IS GOOOOOODDDD. David speaking at a YW Conference…..ah, sounds wonderful, we know what an inspiring speaker he is, good for David. Love the tweets, haha. Love reading the recaps from fans around the world, Aishwarya’s story was was so heartwarming. How great is that….she got her opportunity to see him. Yes..interesting interview with J Wright, as for David making a record? ? Possibly a Spanish album, sounds exciting. Whatever it will be, I know it will be stellar. I’m with you TOfan….TOSOD is genuinely a great album. Just really, really good! A wonderful accomplishment from David. Big TOSOD tour FTW, peppertara!!! 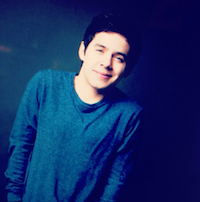 @DavidArchie I loved your talk today! it was great. This yw general conference was really once in a life time thing! I had the best day ever! I got to meet @realbrookewhite again and listen to @DavidArchie sing in the same room as me. I love them both!